CLICK BELOW TO HEAR RICK LEE ANSWER THE QUESTION: HOW DID YOU ARRIVE AT THE KAMEL? CLICK BELOW TO HEAR RICK LEE ANSWER THE QUESTION: HOW DID THE IDEA OF THE CALL LETTERS AND THE KAMEL COME ABOUT? CLICK BELOW TO HEAR RICK LEE TALK ABOUT THE TIME LEADING UP TO THE SWITCH TO THE KAMEL AND A ROCK FORMAT. CLICK BELOW TO HEAR RICK LEE ON THE DAY THE KAMEL SIGNED ON. CLICK BELOW TO HEAR RICK LEE ON THE IDEA OF A CARTOON KAMEL AS A MASCOT. CLICK BELOW TO HEAR RICK LEE ON THE DECISION TO HIRE ALEX BENNETT. CLICK BELOW TO HEAR RICK LEE ON PROMOTION DIRECTOR KENNY WARDELL. CLICK BELOW TO HEAR RICK LEE ON THE STEPHEN CAPEN "SKYDIVE HOAX." CLICK BELOW TO HEAR RICK LEE ON MAL SHARPE. CLICK BELOW TO HEAR RICK LEE ON THE MUSIC OF THE KAMEL AND IT'S DECLINE AS A ROCK STATION. CLICK BELOW TO HEAR RICK LEE ON THE FLIP OF THE KAMEL FROM ROCK TO TOP 40. CLICK BELOW TO HEAR RICK LEE ANSWER THE QUESTION: WHAT DO YOU ATTRIBUTE THE KAMEL'S SUCCESS TO? 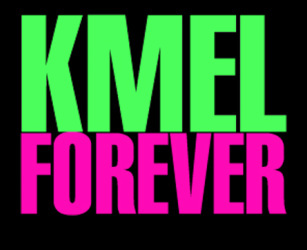 CLICK BELOW TO HEAR RICK LEE ON THE THE LEGACY OF KMEL. CLICK BELOW TO HEAR RICK LEE ON THE VIBE OF KMEL.